Martha C. Lawrence's "remarkable first novel" (Library Journal), MURDER IN SCORPIO, introduced psychic detective Elizabeth Chase and won nominations for three of Americas most prestigious mystery awards: the Edgar, the Agatha, and the Anthony. The acclaim continued with her second mystery, THE COLD HEART OF CAPRICORN, hailed as a "superior shocker" (San Diego Union Tribune) "that offers a truly intelligent heroine to solve it" (Denver Post). Kirkus Reviews called Lawrence's explosive third novel, AQUARIUS DESCENDING, "gripping, believable . . . distinguished." Lawrence's fourth novel, PISCES RISING, won the San Diego Magazine award for best fiction in the year 2000 and was nominated for the Nero award. Her fifth novel, ASHES OF ARIES, was published in the fall of 2001 and praised by Publishers Weekly as a "riveting . . . fascinating page-turner." Inspired by her own real-life psychic experiences, Marthas novels have been published around the world. A former book editor for Simon & Schuster and Harcourt Brace Publishers, she reviews fiction for The San Diego Union-Tribune and has made numerous television and radio appearances. 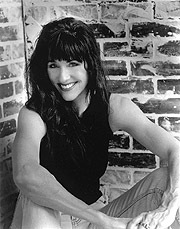 She lives in Escondido, California and can be reached through her website at www.marthalawrence.com.